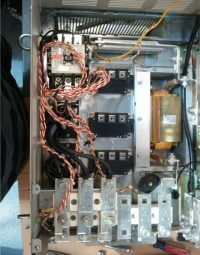 We repair all makes and models of AC Drives • DC Drives • Servo Amps • Power Supplies. Plus, all makes and models of VFDs, Temperature Controllers, SCR Power Controls, HMIs, PLCs, Counters, Timers, Motion Controllers, Stepper Controllers, Process Controllers, Touch Screens, I/O Modules, and more stuff we can’t even think of right now. We receive in parts that are unidentifiable at check in — but we still repair them. Check out our brochure. Can’t find your brand here? No problem, we can repair hundreds of other industrial parts manufacturers too numerous to list here. Even if you cannot identify the manufacturer of your equipment, call us or email repairs@iidm.com. You can even email us a photo of your part if you wish. 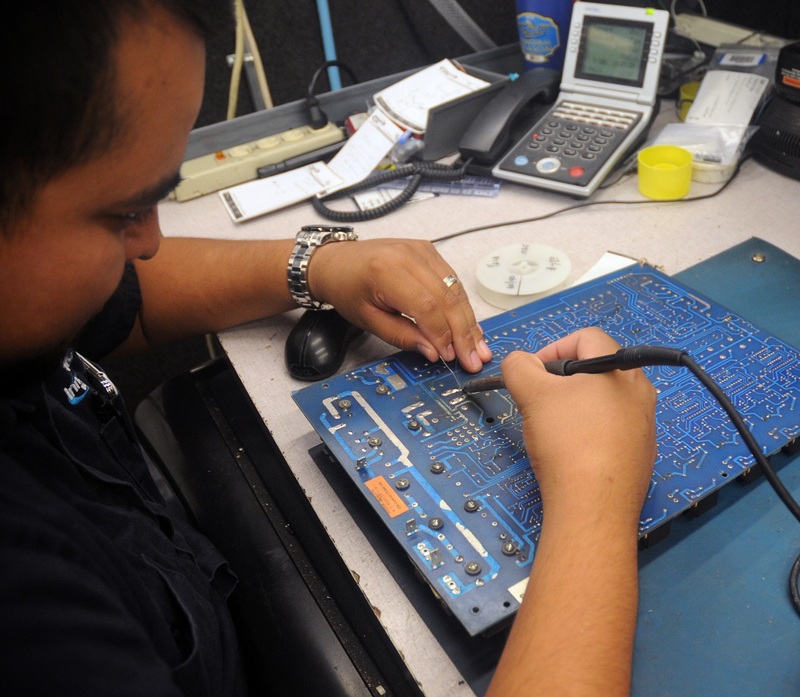 No matter what you send in for industrial electronic repair, or how we manage to repair it, your item going out the door will receive the following quality control checkup. 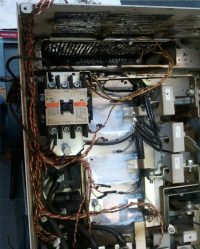 BEFORE: An industrial AC drive that was sent to us for repair. AFTER: The same AC drive after our techs repaired it and QC’d the rest of the drive. Cleaning the entire unit, including fans and the cabinet, is part of our repair service. We also will replace the capacitors if they are in the dry-out stages.